MANILA, Jan 24 2017 (IPS) - The Philippines, a tiny developing country, has joined the colossal world of space technology, building its second microsatellite that it plans to launch late this year or in early 2018 — not to study other planets, but to monitor weather patterns and climate change to protect the country’s natural resources and improve disaster risk management. Located in the Pacific Ring of Fire, a wide area in the Pacific Ocean with frequent earthquakes and volcanic eruptions that makes it the fourth most disaster-prone nation in the world, according to the UN International Strategy for Disaster Reduction, the Philippines can now benefit from its first eye in the sky – a 50-kilogramme imaging and earth observation satellite while venturing, with baby steps, into space science. Diwata (a Filipino term for a mythological character meaning “fairy”), the first small satellite, has just completed over 4,000 orbits around the world. While it continues to circle the globe, its sister Diwata-2 is now being built. The microsatellite was launched to the International Space Station (ISS) from Cape Canaveral, Florida on Mar. 23, 2016 and deployed into space from the ISS’ Japanese Experiment Module, nicknamed “Kibo,” where it was housed and calibrated, on Apr. 27, 2016. Joel Joseph Marciano, Jr., a professor of electrical and electronics engineering at the University of the Philippines (UP), said Diwata-1 is the first microsatellite built under the Development of Philippine Scientific Earth Observation Microsatellite (PHL-Microsat) Program that aims to enhance capacity in space technology through the development of microsatellite systems. The three-year programme, which started in 2014 and with a budget of 840 million pesos (17.1 million dollars) is supported by the Philippine Department of Science and Technology (DOST) and implemented by several departments of UP. 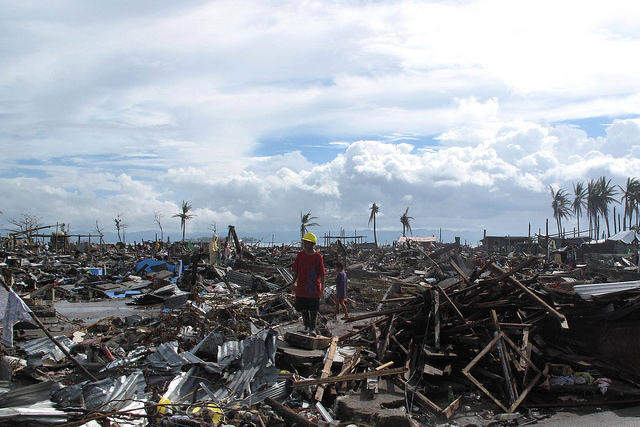 Marciano, the programme leader of the PHL-Microsat, said the microsatellite was a result of ruminations by scientists after storm Haiyan, called Yolanda in the Philippines and the strongest storm ever to make landfall in recorded history, flattened Tacloban City (573 kilometers southeast of Manila) and its peripheral cities and provinces on Nov. 8, 2013. With 250-kph winds and seven-metre high storm surges, it killed more than 6,500 people, damaged more than one million homes, 33 million coconut trees, 600,000 hectares of agricultural land and more than 1,000 public structures. “Typhoon Haiyan was a big wake-up call. We thought hard about having remote sensing technology and scientific cameras and cable systems to help prepare for and mitigate devastation from disasters,” Marciano told journalist-fellows of the recent Graciano Lopez Jaena Journalism Workshop on science journalism organized by the UP College of Mass Communications. He said the Philippines is one of the 10 most biologically “mega-diverse” countries in the world, with over two million sq kms of maritime waters encompassing an important part of the “coral triangle” and thousands of species of ﬂora and fauna. Unfortunately, it is frequented by an average of nine typhoons and 10 weaker storms that make landfall each year. “The presence of environment sensing and earth observation technology would provide a faster turn-around of information-giving and intervention,” said Marciano, who is also director of the Advanced Science and Technology Institute of the DOST. His colleague Gay Jane Perez, a professor of the UP Institute of Environmental Science and Meteorology who is the project leader of the PHL-Micosat Remote Sensing Product Development, said one of Diwata-1’s first missions on disaster assessment were evidentiary images of the destruction caused by typhoon Haima (called Lawin in the Philippines) that struck the northern Philippines on Oct. 20, 2016. The images, which were taken five days after the storm made landfall, provided clarity to government bodies handling the coordination of disaster relief and rehabilitation. Its main parts include a high precision telescope for high resolution imaging that can be used for assessing the extent of damage during disasters; a wide field camera for observing large-scale weather patterns; and a space borne multispectral imager for monitoring bodies of water and vegetation. Perez said resource inventory and assessment in agriculture, fisheries, forestry, mining and energy will be better. ”The microsatellite can observe meteorological events and weather updates such as typhoons and heavy rains and provide information essential to farmers and fisher folk that can help them adjust their planting and fishing methods amid changing climate conditions,” she said, adding that it can also monitor forest cover and protect cultural and historical sites and the Philippines territorial borders. Currently in orbit with an altitude of over 400 km, Diwata-1 passes four times a day, with six minutes per pass, over the Philippines. It is expected to capture 3,600 images daily. Through its sensor, it sends images and data back to the Philippine Earth Data Resources and Observation (PEDRO) Center at the Subic Bay Freeport in Zambales province, 254 km north of Manila, its ground station. 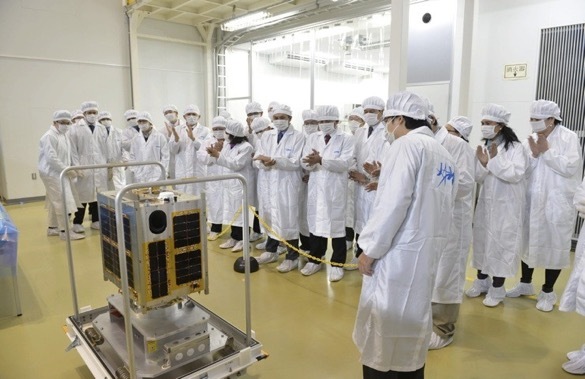 Marciano and Perez are part of the PHL-Microsat program that includes Filipino scientists who assembled Diwata-1 in collaboration with Tohoku University and Hokkaido University, the UP and DOST’s partner universities. The all-Filipino team of scientists and engineers who designed and built Diwata-1 are now based in Japan. Under the Philippines-Japan partnership, seven engineering students from UP and two science researchers from DOST were sent to Tohoku and Hokkaido universities to work on the microsatellite bus system and payload design while pursuing their advanced degrees. With its first satellite blasting into space, the Philippines joins 70 other countries which, according to the US National Aeronautics and Space Administration (NASA) as of 2015, are operating government space agencies and are capable of human spaceflight, which is the gold standard for space programmes. Marciano said the country’s first steps into space technology development expects to boost governance through land use, local development planning, zoning generation and revenue through tax mapping, real property administration and tourism and infrastructure planning and monitoring in transportation and development corridors. As it assembles Diwata-2, the Philippines also hosted for the ﬁrst time in its 23‐year history the Asia-Paciﬁc Regional Space Agency Forum in November last year. Already, Diwata-1 was cited by NASA’s Presidential Transition Binder as its poster child for small spacecraft technology. The document that will be given to the new U.S. administration cited Diwata-1 as an example for small spacecraft technology that has many advantages of being small but powerful, adding the ease of deployment and low cost of building it. With these initial strides, the PHL-Microsat hopes to motivate the Filipino youth to take an interest in the sciences and take advantage of this new era of space science. The UP is also introducing science journalism in its curriculum to train future journalists in understanding the sciences and to widen media writing and reporting on science. In addition, she said the Microsatellite Research and Instructional Facility is currently being established at the UP that will be the hub for the country’s inter-disciplinary research and development activities in space technology. Another fake news? I thought Diwata 2 was cancelled because the present Philippine administration discontinued the program. I hope this is true, but just betting my two cents.